Protecting Against Phone Scams – Central Electric Cooperative, Inc. 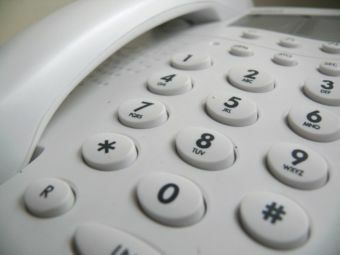 Phone scams have become more frequent across the nation. Scammers targeting Central Oregon identify themselves as representatives of Central Electric and request immediate payment by threatening imminent termination of service. The thieves have been known to ask for credit card information over the phone or ask you to buy a prepaid debit card, creating an untraceable payment transaction. CEC advises its members that such calls are not legitimate and any member receiving such a call should not provide any financial or personal information to the callers. When a Central Electric member’s account is past due, CEC provides two written notices before it calls to alert the member that their service is to be disconnected. Once a call is made, it is to notify the member that his or her service will be disconnected the following day, thereby providing the member extra time to make payment arrangements. Members have several options available, including visiting one of CEC’s offices in Bend, Redmond or Sisters, to make payment before service is terminated. Any member who believes they have received a scam call should not provide credit card or bank information, and should call CEC at 541-548-2144 and speak to a representative to discuss their account and address any problems, should any exist.